The High Court has allowed an appeal from the Victorian Court of Appeal with regard to an order for costs arising from litigation between former business partners about a transfer of shares in a tyre recycling company, VR Tek Global Pty Ltd. The case concerned a stay of proceedings where the appellant was impecunious and his action would effectively be terminated by a stay. The High Court has allowed an appeal in part from the Full Court of the Supreme Court of South Australia on the part of the appellant, Amaca Pty Ltd, and dismissed the cross-appeal of the respondent, Mr Latz. The case concerned an entitlement to damages reflecting the loss of an entitlement to a superannuation pension and an age pension as a result of a reduced life span. Orders were pronounced on 11 May 2018, although reasons were published a month later on 13 June 2018, because of the parlous state of Mr Latz’s health. Mr Latz had contracted malignant mesothelioma at some time in 1976 or 1977 as a result of inhaling asbestos fibre while cutting and installing fencing which had been negligently manufactured by Amaca Pty Ltd. The mesothelioma did not become symptomatic until 2016. In October 2016, Mr Latz’s condition was diagnosed as terminal. He had retired from his job in the public service nine years earlier, and was receiving a superannuation pension under the Superannuation Act 1988 (SA) Part 5, and an age pension under the Social Security Act 1991 (Cth) Part 2.2. It was found that the mesothelioma had cut his life expectancy by 16 years. Mr Latz sought compensation for the reduction to his superannuation pension and age pension, which he would have continued to receive for a further 16 years but for the negligence of Amaca Pty Ltd.
Mitch Clarke, ‘Courting Communication Anachronisms: Trkulja v Google  HCATrans’ (30 November 2017). The High Court has allowed an appeal against a decision of the Victorian Court on Appeal on whether a search engine can be held liable for defamation from the results of a search. The appellant sued the respondent search engine company after results of searches such as ‘Melbourne criminal underworld photos’ showed images of him with various convicted Melbourne criminals, as well as articles and links which imputing he was associated with those criminals. Moreover, typing his name into the search bar led to autocomplete results that associated him with various criminal figures. The defendant sought to summarily dismiss the pleadings on the basis that (i) that it did not publish the images matter or the web matter; (ii) that the matters in issue were not defamatory of Mr Trkulja; and (iii) that Google was entitled to immunity from suit. The trial judge held that the appellant’s defamation proceeding should not be set aside. However, on appeal to the VSCA, it was held that the primary judge should have struck the case out on the second basis that the search results could not be defamatory because the results were produced by algorithm, and because a reasonable internet user would understand that the plaintiffs’ images appeared alongside other, clearly non-criminal, people. The High Court set aside the VSCA’s findings. In a unanimous judgment, Kiefel CJ, Bell, Keane, Nettle and Gordon JJ dealt with two issues: the question of whether Google was a publisher (and the relevance of defences in that determination), and the question of the test for whether the search results were capable of conveying the defamatory imputations. I love portraits: one of my favourite galleries is the National Portrait Gallery in London. In Australia, we have the Archibald Prize, an annual award for the best portrait, ‘preferentially of some man or woman distinguished in art, letters, science or politics, painted by any artist resident in Australasia’. It is judged by the Trustees of the Art Gallery of New South Wales. The High Court has dismissed two appeals against decisions of the South Australian Supreme Court (Maxcon) and the New South Wales Court of Appeal (Probuild) on when a court can review an adjudication decision about security of payments legislation. In both of these matters, the primary courts held that an adjudicator had made an error of law in adjudicating disputes over progress payments for construction projects. The NSWCA held that the security of payment legislation removed any judicial power to quash an arbitral decision for that error of law, and the SASCFC held that it was bound to follow the NSWCA ruling. These rulings were upheld by the High Court. I was particularly delighted to hear of James Edelman’s recent appointment to the High Court of Australia, as he is a friend and former academic colleague. Indeed, his book based on his PhD thesis, Gain-Based Damages: Contract, Tort, Equity and Intellectual Property was the inspiration for my own PhD thesis. 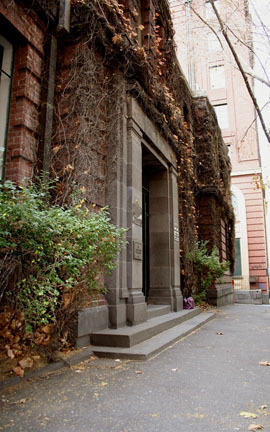 Edelman J’s list of achievements are impressive: degrees in law, economics and commerce, a Rhodes Scholarship, a BCL and a DPhil from Oxford, a Professorship at Keble College, Oxford, followed by an appointment to the Supreme Court of Western Australia in 2011 and an appointment to the Federal Court in Queensland in 2015. He has numerous publications in the area of private law, and a keen interest in theoretical scholarship. We extend our warmest congratulations to him and to our new Chief Justice, Susan Kiefel. It is no secret that relations between Attorney-General George Brandis and Solicitor-General Justin Gleeson were “irretrievably broken” when Gleeson resigned as Solicitor-General in October this year. However, it has now been revealed that there may have been a High Court connection to the rift: it has been reported today that the ever-sprawling, never-ending Bell Group case may have led to the difficulties between the pair. As I noted earlier this year, the Bell Group case looked to have settled in 2013, but the Western Australian government’s attempt to distribute the settlement funds via a statutory scheme was struck down by the High Court in May in Bell Group N.V. (in liquidation) v Western Australia  HCA 21. The ATO was a major creditor who would have lost out had the Western Australian legislation been held to be valid. In September 2013, it appeared that the Hydra had finally been slain: the long-running, complex and expensive Bell Group litigation had settled just before the hearing of an appeal to the High Court. 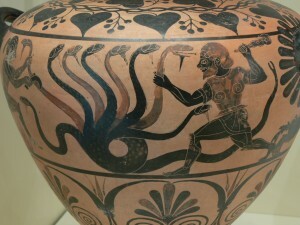 However, just like the Hydra of myth, it appears that where one head of litigation is cut off, at least one other will grow. The High Court has just ruled in Bell Group N.V. (in liquidation) v Western Australia  HCA 21 that the Bell Group Companies (Finalisation of Matters and Distribution of Proceeds) Act 2015 (WA) (‘Bell Act’), under which the $1.7B settlement sum was sought to be distributed, is constitutionally invalid. The legislation was rushed through the Western Australian parliament last year, but last-minute amendments made in April this year were insufficient to save it. It seems likely that the Bell litigation will continue, as litigation had previously been both threatened and commenced after settlement and prior to the enactment of the Bell Act. News: High Court circuit hearings reduced by budget cuts? In the 2014-2015 year, income received by the High Court including from its principal source, namely parliamentary appropriations, was $16.336 million. Operating expenses including unfunded depreciation charges of $4.802 million amounted to a total of $21.167 million. The underlying deficit after taking out unfunded depreciation allowances was $29,334. The High Court has a small administration. Its total staff comprises (not including Justices) 99 persons. Thirty-seven are full-time and part-time ongoing staff, 36 are full-time and part-time non-ongoing staff and 26 are casual staff. The Court operates nationally with extended logistical requirements and large fixed costs. Its level of funding is low compared with the Parliament and many parts of the Executive Government. Historically its appropriated revenues have not kept pace with unavoidable cost increases particularly in building related expenditure. Many of the Court’s administrative costs are fixed, for example, statutory charges for electricity to operate the building. Government imposed efficiency dividends affect core elements of the Court’s operations such as Registry and Library staffing. The Court has undertaken comprehensive reviews of its Registry and administrative processes and structures since 2008. The position continues to be that there is no material scope to reduce the Court’s administrative costs without cutting significant elements of its operations including circuit visits which it undertakes from time to time to Perth, Adelaide and Brisbane dependent upon the workload in those capitals. It would not be positive if the High Court were no longer able to go on circuit to some capital cities (or, as the Canberra Times suggests, any other capital cities other than Canberra). The High Court is a court for all of Australia, and as such, it is important that it has a presence in all States and Territories of Australia. Back in the days when I was a State judge’s associate, I became enraged by a government questionnaire which described the court as a “business unit.” Courts are not “business units”. They do not produce profits. While courts certainly should not waste money, and should have an efficient administration, it sounds like the High Court has already achieved this. Fundamentally, the High Court is an essential arm of government whose role it is to adjudicate disputes. What price justice? Fernando v Commonwealth purportedly raised the issue of what measure of damages were appropriate for a case of wrongful immigration detention where the plaintiff could have been lawfully detained in any event. However, the High Court has now revoked special leave on the basis that the appellant’s argument did not adequately raise that question. The High Court holds ceremonial sittings to mark significant events: welcomes to judges, farewells to judges, appointments of Queen’s Counsel and Senior Counsel, first and final sittings of judges in particular cities, and final sittings in particular buildings. Such sittings are also held in memoriam for late judges. On 10 August 2015, the High Court held a Sitting in Memory of the Late Honourable John Leslie Toohey AC in Perth. The transcript is now available here. The Court notes that Justice Toohey’s Western Australian predecessor, Sir Ronald Wilson, was similiarly honoured with a ceremonial sitting some ten years ago, at which Justice Toohey was present. A ceremonial sitting has also been held for the Late Honourable Sir Harry Gibbs in 2005. Presumably a ceremony will be held for Justice Jacobs, who also passed away this year. Edelman J’s obituary for Justice Toohey was posted on the blog here. The Court notes with sadness the recent passing, in the United Kingdom, of Sir Kenneth Jacobs KBE, who served as a Justice of the Court from 1974 to 1979. Sir Kenneth, who was born in Sydney in 1917, graduated from Sydney University with a Bachelor of Arts in 1938, served with the Australian Imperial Forces during the Second World War and on his return to Australia graduated in 1947 with a Bachelor of Laws with First Class Honours and the University Medal. He practised as a barrister in New South Wales and was made Queen’s Counsel in 1958. He served as a Judge of the Supreme Court of New South Wales form 1960 to 1974, including eight years on the Court of Appeal culminating in his service as its President from 1972 to 1974. He was appointed to the High Court in 1974 and retired on 6 April 1979. His judgments in the Court, which are still quoted, made an important and lasting contribution to the development of a number of areas of public and private law. Fuller biographical details are available via the Court’s website here. Sir Kenneth Jacobs, a self-described liberal who resigned from the High Court in 1979 after being misdiagnosed with stomach cancer, has died aged 97…. Then chief justice Garfield Barwick didn’t want Jacobs to resign, but Jacobs, then aged 61, felt the prognosis was so dire that he would be a drain on the court and left on April 6, 1979. When he did not suffer the predicted downturn in his health, Jacobs consulted another specialist who told him that he had only suffered a painful condition called diverticulitis. Jacobs considered suing his first doctor, but decided against it and left Australia for England in the early 80s with his British-born wife Eleanor. He settled in Wiltshire and took up bookbinding — and later printing — as he settled into village life .After Lady Eleanor died in 2002, he went back to school and completed a Masters in Classics at London University. Wikipedia lists the date of his death as 24 May 2015. Our condolences to his family. Thanks Melissa Castan (@MsCastan) for alerting us. Melbourne Law School was honoured to hear French CJ give the 2015 Harold Ford Memorial Lecture. This year’s topic was “Trusts and Statute”, a fitting nod to the late Professor Ford and his expertise in both trusts law and corporate law. Chief Justice French discussed the history of trusts and the way in which statute intertwined with trust law from a very early stage. He also discussed the impact of legislation on trust law in various different areas, including charities law, tax law and corporate law. His comments on the need for coherence, and on the difficulties and advantages of statutory intervention were of particular interest. His Honour’s presentation was videoed and is available for viewing here. Tolstoy famously starts Anna Karenina with the line: “All happy families are alike; each unhappy family is unhappy in its own way.” There is nothing quite so unhappy as a dispute between family members which ends up in court. In Cassegrain v Gerard Cassegrain & Co Pty Ltd, the dispute was between siblings who all had interests in the family company, Gerard Cassegrain & Co. The dispute before the High Court was the latest in a long line which began when the family patriarch, Gerard Cassegrain, died in 1993. Gerard and his wife had six children. Gerard’s second child, Claude, was the appellant in this case. The dispute involved certain land which Claude had registered in his and his wife’s name, and then solely in his wife’s name. In December 2013, I predicted that the now long-running case involving bank fees would end up again before the High Court. That prediction appears to be about to come true. In February 2014, after the High Court’s earlier decision in Andrews v Australia and New Zealand Banking Group Limited  HCA 30, Federal Court judge Gordon J decided that most of the disputed fees were not penalties, apart from late credit card payment fees (as I posted here). Yesterday, in a resounding victory for the banks, the Full Federal Court in Paciocco v Australia and New Zealand Banking Group Limited  FCAFC 50 held that none of the fees were penalties, including the late payment fees. Moreover, none of the fees were unconscionable or unfair. After ANZ’s appeal was allowed on Wednesday, Maurice Blackburn’s national head of class actions, Andrew Watson, who is representing customers, said he would appeal against the Federal Court’s ruling in the High Court:”Obviously we’re still digesting the details of what’s a very large decision, but based on what we’ve read, we think there are grounds for appeal and we will be making an application for special leave to appeal to the High Court,” he said. Meanwhile, the banks are hoping that their latest win will signal the end of the litigation. I predict that there’s scant chance of that. Recently, Australian Human Rights Commission President Gillian Triggs has been under intense criticism, particularly by The Australian newspaper for her handling of an AHRC report involving a West Papuan man called John Basikbasik.Two points should be made at the outset. First, Triggs is not a judge, and accordingly her decision was not binding. The report contained recommendations which could be rejected by the Minister. Secondly, the Minister did in fact reject President Triggs’ recommendations in May 2014. Mr Basikbasik remains detained and will not receive the recommended compensation. As these two recent articles in The Australian indicate, the criticisms are being made in the context of a wider furore about the timing of Triggs’ AHRC report into children in detention. Indeed, Richard Ackland has claimed that The Australian newspaper is focusing on the Basikbasik case for this reason. Academic opinion about the Basikbasik case has generally been on Triggs’ side, as prominent Australian international law scholars and others have written to express their support of Triggs’ determination in the Basikbasik case. Professor Mirko Bagaric of Deakin University was a rare exception, and expressed the view that the determination was in error because it took into account the International Covenant on Civil and Political Rights (‘ICCPR’). On Friday last week, The Australian published an article by Professor Ben Saul of Sydney University which was strongly in favour of Triggs. As Professor Saul points out, the definition of the “human rights” under s 3 of the Australian Human Rights Commission Act 1986 (Cth) expressly mentions the ICCPR as a source of such rights. Every High Court appointment leads pundits to forecast who will be selected. Doing so can be fraught. The most worthy candidates often miss the cut, while others prove a surprise. As I have said elsewhere, predicting the next High Court justice is like trying to pick the winner of the Melbourne Cup, but without knowing who is in the field. If you were wanting to place a bet on Australia’s next High Court judge, the smart money would be on a serving judge from Victoria, aged 60 or under, with impeccable legal credentials. The person would also be favourably regarded in conservative circles and would not have a background of supporting the states. Beyond that, it’s anyone’s guess. First came the victory, when in Pape it was held to authorise laws governing stimulus payments during the GFC. Then came the defeat, when in Williams (No 1) it was denied the capacity to authorise funding for chaplains in schools. Now non-statutory executive power (NSEP) is poised to make a comeback, in its most controversial and politically-charged instalment yet, CPCF v Minister for Border Protection and the Commonwealth. But whereas in previous cases the stakes were measured in dollar terms, this time the consequences of the alleged exercise of NSEP have a human face. It will be very interesting to see whether the High Court takes the opportunity to consider the scope of non-statutory executive power (NSEP), or whether the unresolved issues in the Tampa case with regard to the Commonwealth’s NSEP will remain in that state. First, last year, we mentioned the possibility that the Victorian Supreme Court was going to start a blog. The blog has come to fruition and has just published its first substantive post, ‘The many challenges of modern common law litigation’ by Forrest J. The post appears to be further the court’s ambition of ‘creating greater community understanding’ about the law, as it is clear, (relatively) non-technical, conversational, and offers plenty of context about the issues discussed. Secondly, for those interested in corporate law and securities regulation, Hayne J gave this year’s Harold Ford Memorial Lecture hosted by the Centre for Corporate Law and Securities Regulation. His lecture was entitled Directors’ Duties and a Company’s Creditors. The video is available on the CCLSR’s website here and on the University’s youtube channel. Hayne J’s paper has been accepted for publication in volume 38(2) of the Melbourne University Law Review which will be published before the end of 2014.
a trust for the attainment of political objects has always been held invalid, not because it is illegal, for every one is at liberty to advocate or promote by any lawful means a change in the law, but because the Court has no means of judging whether a proposed change in the law will or will not be for the public benefit, and therefore cannot say that a gift to secure the change is a charitable gift. This has been subsequently upheld in English case law in cases such as McGovern v Attorney-General  Ch 321 and Hanchett-Stamford v Attorney-General  Ch 173. The latter case held that while a new Charities Act had been enacted in 2006, this did not change the fundamental principle that charities with political purposes were not charitable. By contrast, in 2010, a majority of the High Court of Australia declined to follow the English case law in Aid/Watch Incorporated v Commissioner for Taxation  HCA 42. At –, French CJ, Gummow, Hayne, Crennan and Bell JJ noted that agitation of political and public debate could be a societal good, and that the court did not have to decide on whether the political purposes furthered by the charity were legitimate. Now, in In re Greenpeace  NZSC 105, a majority of the New Zealand Supreme Court has decided to follow the High Court’s lead. Following the decision of the New Zealand Court of Appeal in Molloy v Commissioner of Inland Revenue  1 NZLR 688, the Charities Commission in New Zealand had refused to register Greenpeace as a charity on the basis that two of its purposes were political, namely the promotion of disarmament and peace and the agitation of change to government policy and legislation. The Australian approach was an important influence on the Supreme Court’s decision to overturn the political purpose exemption (see – of In re Greenpeace). As with the High Court decision, the New Zealand Supreme Court was not unanimous and there were two dissenting judges. As the majority noted, there is still a possibility that Greenpeace will not qualify as a charity in light of arguments that it furthers illegal purposes by endorsing trespass and other such activities when advocating “non-violent direct action.” Now the question of Greenpeace’s status as a charitable entity has been remitted back to the Charities Commission for reconsideration in light of the New Zealand Supreme Court decision. On 18 July 2014, I was able to interview Sir Anthony Mason as we were both attending Obligations VII Conference in Hong Kong. Sir Anthony was a judge of the High Court of Australia from 1972 to 1987, and Chief Justice of the High Court of Australia from 1987 to 1995. He then became a non-permanent judge of the Hong Kong Court of Final Appeal, a position which he still holds. We spoke about his roles as a judge in Australia and Hong Kong, significant judgments during his time as a High Court judge, the role of dissenting judgments, the use of academic commentary and overseas judgments, the doctrine of precedent and Farah v Say-Dee, and judgment writing styles. KB: Thanks so much for agreeing to speak to me today. AM: It’s a pleasure, Katy. KB: The first thing I’d like to ask is: how would you view your time on the High Court? AM: I enjoyed it very much. I suppose I can say I enjoyed being a judge. AM: In one sense I regarded it as great fun. It was of course at times onerous, but I always enjoyed it. The questions were interesting and it was interesting endeavouring to answer the questions. Napoleon Bonaparte said ‘the best way to keep one’s word is not to give it’. Perhaps the defendant in Sidhu v Van Dyke  HCA 19 should have heeded those words, although the case came down not to the fact that Sidhu made and broke a promise, but to the fact that that the plaintiff, Van Dyke, relied upon the promise to her detriment (see the joint judgment at ). Van Dyke had rented a cottage from Sidhu and his wife, who lived 100 metres away in the main homestead on the property. The property was jointly owned by Sidhu and his wife. Van Dyke and Sidhu commenced a sexual relationship which led to the breakdown of Van Dyke’s marriage. Sidhu told Van Dyke not to worry about getting a property settlement in the divorce, as he would subdivide the land belonging to him and his wife, and give the cottage to Van Dyke. However, when his relationship with Van Dyke ended some eight years later, Sidhu repudiated his earlier promises and Sidhu’s wife refused to consent to a subdivision. The High Court clarified that Australian law did not recognise Lord Denning’s ‘presumption of reliance’ in Greasley v Cooke  1 WLR 1306. In other words, Australian law does not presume reliance on the part of a representee (in this instance Van Dyke), and a representee is still required to make out detrimental reliance. Moreover, the burden of proof to establish detrimental reliance is always on the representee. In February, I noted that Gordon J had handed down her decision in Paciocco v Australian and New Zealand Banking Group Limited  FCA 52, the bank fees case. The ABC reports that the bank customers lodged an appeal yesterday. The Bank is still considering its position, and has three weeks to make a decision, but I would not be surprised if it also appealed. Nor would I be surprised if this case ends up before the High Court again. Update: it’s always nice to have one’s predictions confirmed. As pointed out in comments below, the Sydney Morning Herald reports that the Bank filed an appeal today. I recently had cause to consult the new ninth edition of ICF Spry’s Equitable Remedies, a tome which I have found very helpful and learned on the topics of specific performance and injunctions in particular. After finding what I needed, I idly browsed through the Preface, as I have difficulty writing Prefaces and I like to see how other authors manage it. However, I do not think I will be taking my Preface-writing tips from Dr Spry. At xi – xii, he criticises the High Court and certain of its judges. The class action involving bank fees is back in court again. Last year, the class action against banks was uplifted to the High Court in Andrews v Australia and New Zealand Banking Group Limited  HCA 3. It was remitted back down to the Federal Court for decision in light of the High Court’s decision last year and is presently being heard. The case involved the rule against penalties in contract. The essence of the rule is that parties may stipulate the amount payable for certain breaches of contract (known as ‘liquidated damages’), but if the amount payable is not a genuine pre-estimate of loss and is instead in terrorem of the other contracting party (i.e. designed to scare them into performance rather than compensate for loss) then the clause may be struck down by the law against penalties: see Ringrow Pty Ltd v BP Australia Pty Ltd  HCA 71; (2005) 224 CLR 656, affirming Dunlop Pneumatic Tyre Co Ltd v New Garage and Motor Co Ltd  AC 79. On 11 September 2013, leave to appeal was granted in The Go Star v Daebo International Shipping Co Ltd, as noted on our case page. The case involved the charter of a ship, and an allegation that the new charterer had committed the tort of procuring a breach of contract. The appeal to the High Court sought to ascertain what was the lex loci delicti (in other words, the law of the place where the tort was committed). The appellants sought to argue that the relevant law was Chinese law. In the wake of the High Court’s video debut last week, Chief Justice Warren of the Supreme Court of Victoria delivered the Redmond Barry Lecture earlier this week, and spoke about a concern that justice is not as transparent and open because of the decline of traditional print media and specialist court reporting. Accordingly, she said that the court would engage with the public through a number of alternative media. The Supreme Court already has a Twitter feed, and has started streaming sentencing remarks. It is also looking to stream criminal trials. The seminal third party contract case Trident General Insurance Co Ltd v McNiece Bros Pty Ltd  HCA 44 was decided twenty five years ago. It continues to be relevant to legal practice and legal education. It has had a lasting and important impact on insurance contracts, as it decided that the doctrine of privity did not apply to those contract. Typically the doctrine of privity means that only the parties to a contract are bound by it, and a person who is not a party to a contract (a ‘third party’) cannot enforce it. For example, suppose that Alphonse makes a contract with Bertha to the effect that Bertha will give Clarence an annuity after Alphonse dies. If Alphonse dies, and Bertha refuses to pay the annuity to Clarence, Clarence can’t force Bertha to keep to the contract because he is not a party to it. The case also remains a reminder that the High Court will, when presented with the right circumstances, rework the law to achieve a just and fair outcome. In this post I will explore how the decision on the doctrine of privity has become entrenched; and discuss the impact on the decision, in particular the judgment of Deane J on our understanding of the law of express trusts. As noted earlier this week, settlement was in the wings for the Bell Group litigation. Yesterday afternoon, the case settled. The extended nature of the litigation led a variety of former judges to query whether civil litigation needs to be reformed. Meanwhile, those of us who hoped that the Full Court of Western Australia’s decision would be clarified will have to wait for another case.